Holds two 10 Series modules, vintage or new. The 2CR will house two 10 Series modules like the 1073, 1084, 1066 etc... (Vintage modules or new). The build quality of this rack makes it superior to any system on the market today. We use a solid steel internal chassis that are custom molded so that the module slides in easily without the need for guide rails. It has a separate output knob and comes complete with 48v for phantom power. 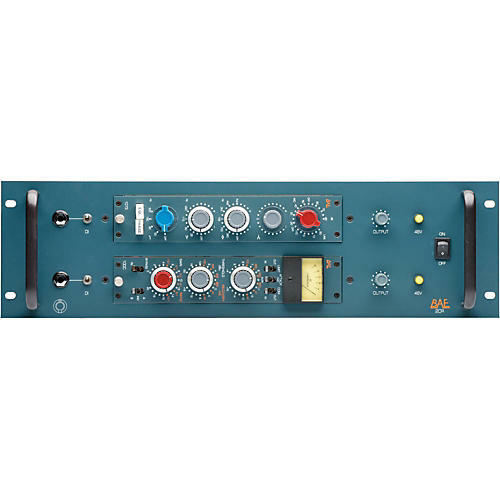 What also makes this rack unique is the JENSEN direct inputs. We mount two JENSEN line transformers so you can plug your bass or guitar directly into the unit.